Indian vice-president Hamid Ansari summed up how important it is for the country to bridge the disparities between various states of the Union. “There should be no doubt in anyone’s mind that India can only realize its destiny of emerging as a modern, developed nation-state when all its sub-national units and peoples, irrespective of caste, religion, ethnicity, language or origin, are included in and benefit from the country’s growth story,” Ansari said. 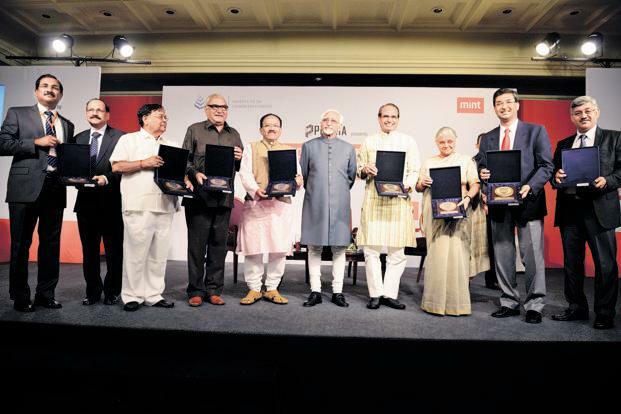 The vice-president made his point in a speech at the Mint state competitiveness awards event in New Delhi on 26 June. The awards, based on a report by the Institute for Competitiveness, India, were conferred on 13 states across various categories. Chief ministers and other state representatives received the awards from Ansari. 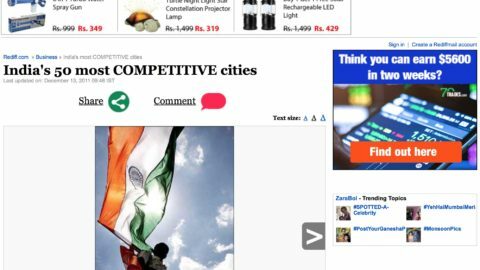 The Institute for Competitiveness, based in Gurgaon, is an affiliate of the Institute for Strategy and Competitiveness at the Harvard Business School started by Professor Michael Porter. 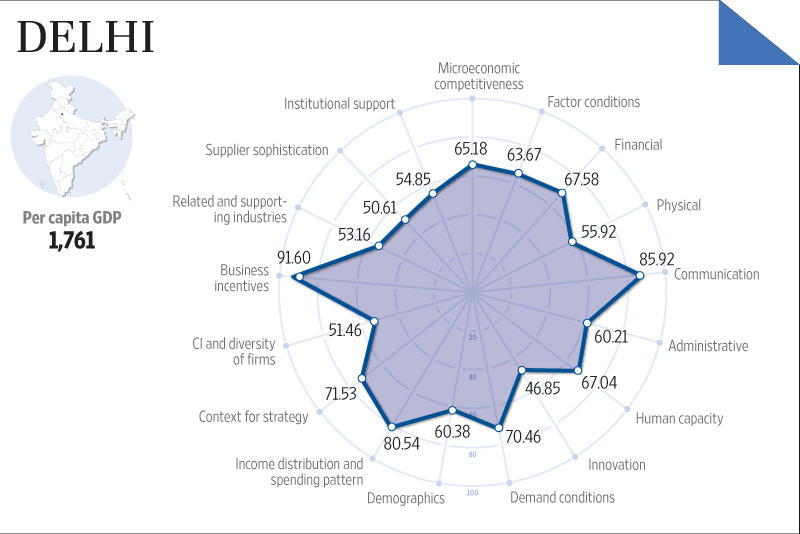 The report compares states with similar per capita gross domestic product to assess their competitiveness. 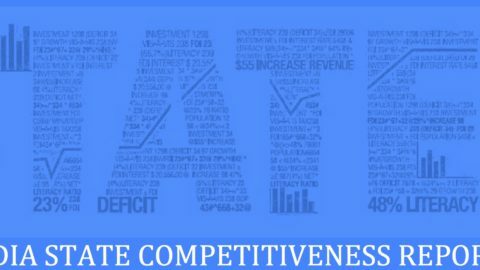 It looks at factors like availability of land, labour and capital, the role played by the governments in facilitating businesses and the profile of consumers in each state to evolve a state competitiveness index. 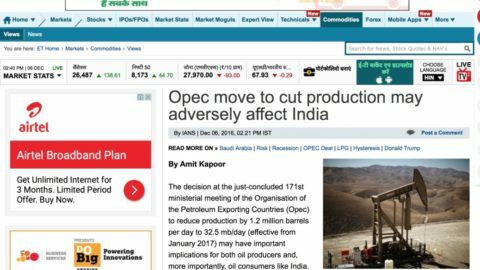 The report stresses that the 28 Indian states, with their varied demography, sizes, natural resources and income levels cannot be compared without accounting for such differences. To this effect, states are categorized under various categories starting from factor-driven economies—states like Uttar Pradesh and Bihar with most basic level of development with per capita gross domestic product (GDP) levels of less than $400 to city-states like Delhi and Goa that have a per capita GDP of more than $1,300. 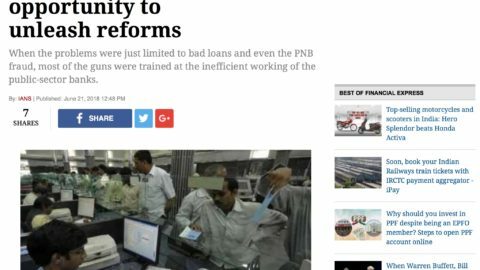 The other categories of states include changeover economies under which states such as Madhya Pradesh and Rajasthan, having a per capita GDP of $400-525, are grouped. A large number of the Indian states, however, are categorized under investment-driven economies where per capita GDP levels vary between $525 and $800. 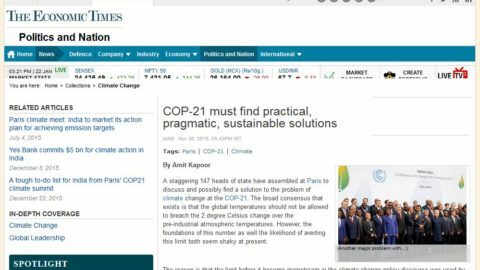 States such as Andhra Pradesh and Karnataka are among these. 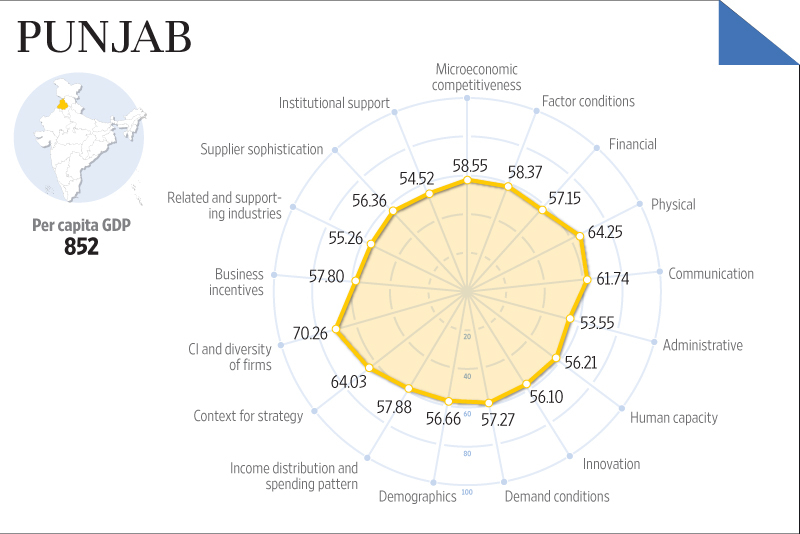 States such as Punjab and Tamil Nadu that have a moderately high level of development are termed transition economies. States under these categories have per capita GDP levels of $800-925. Innovation-driven economies are states with a high levels of per capita income of $925-1,300. States with hubs of industrial activity like Maharashtra, Haryana and Gujarat fall under this category. 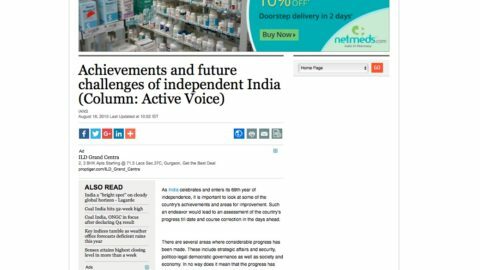 With a majority of the Indian states still lagging behind on many social and economic indicators, the governments—both at the states and the centre—will have to take steps to improve infrastructure, generate jobs, revamp the education and healthcare systems and step up the quality of governance to meet the growing aspirations of the country’s population, says the report. These are more cities than states and their dynamics are different from other states. 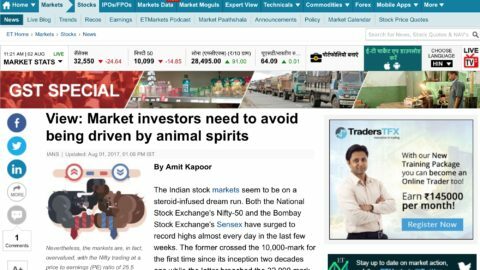 They are at an advanced stage of development and have high per capita gross domestic product (GDP). Delhi: Performed well at an aggregate level on demand conditions, reflected by income distribution and demographic spread. Goa: Well-built infrastructure, backed by financial capacity and institutional support, are Goa’s main assets. 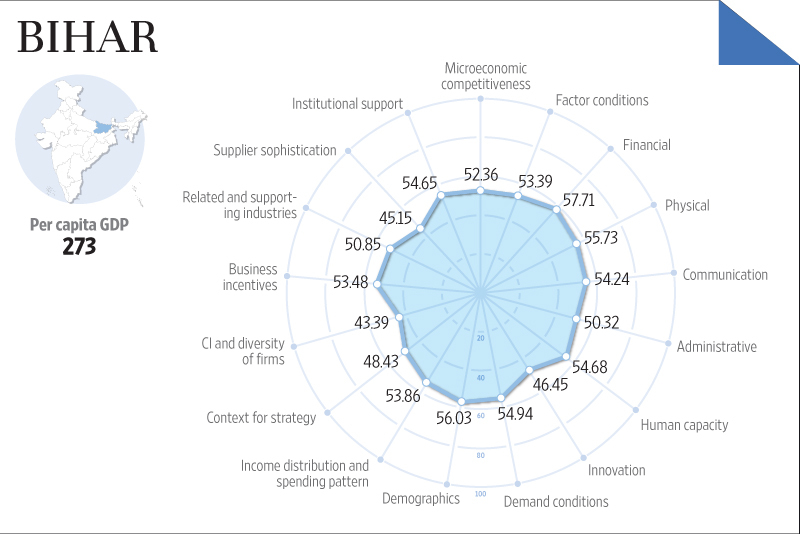 These economies focus on innovative products and services at the global technology frontier. 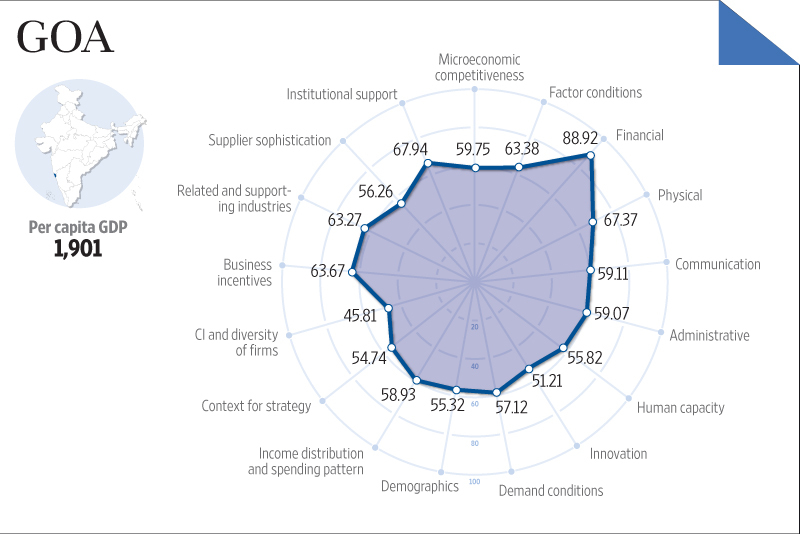 Maharashtra: Performed exceptionally on macroeconomic factors, reflected in its innovation capacity and competitive intensity, which help breed a diversity of firms. 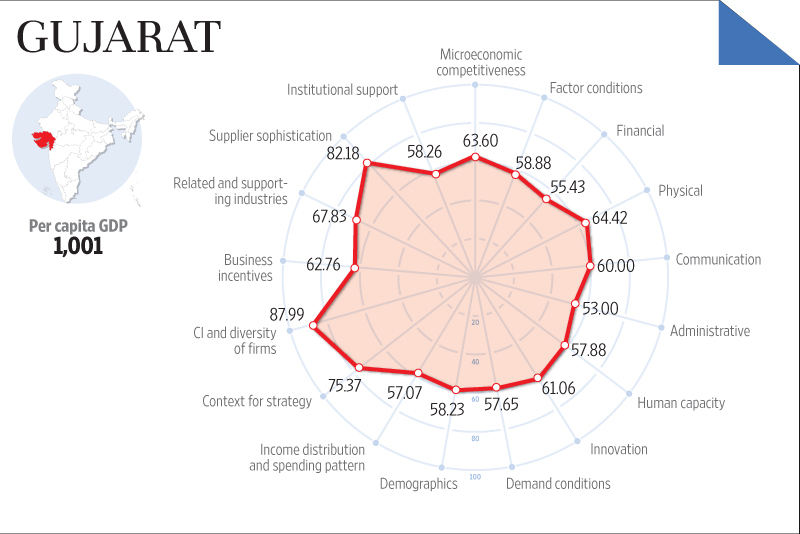 Gujarat: Strategic intent backed by business incentives propel growth, reflected through its corporate diversity. Haryana: Well-developed communication and administrative infrastructure have helped propel the state forward. These economies are very efficient in producing goods and services but need to move toward production of more innovative products. Tamil Nadu: Exceptional hard and soft infrastructure backed by overall institutional support. Punjab: Proactive in granting business incentives, backed by demand conditions that have resulted in an encouraging environment for business. Investment-driven economies have the ability to produce standard products and services of high quality using efficient methods but at lower wages than advanced economies. Andhra Pradesh: Exemplary performance on physical infrastructure, innovative capacity and depth of firms because of strong economic clusters. 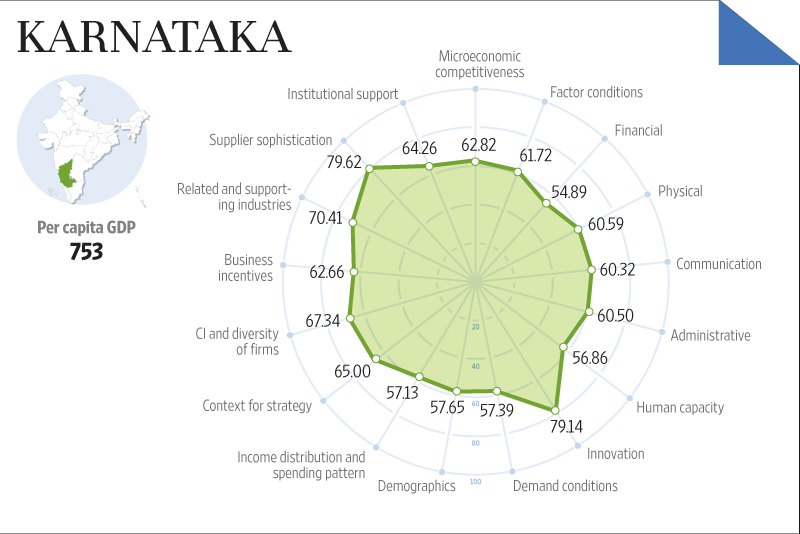 Karnataka: Strong communication infrastructure, does well on demand conditions and institutional support. These economies are in transition stage and can easily move up by making clear policies for attracting more investments and focusing on efficiency improvements in producing goods and services to boost growth. 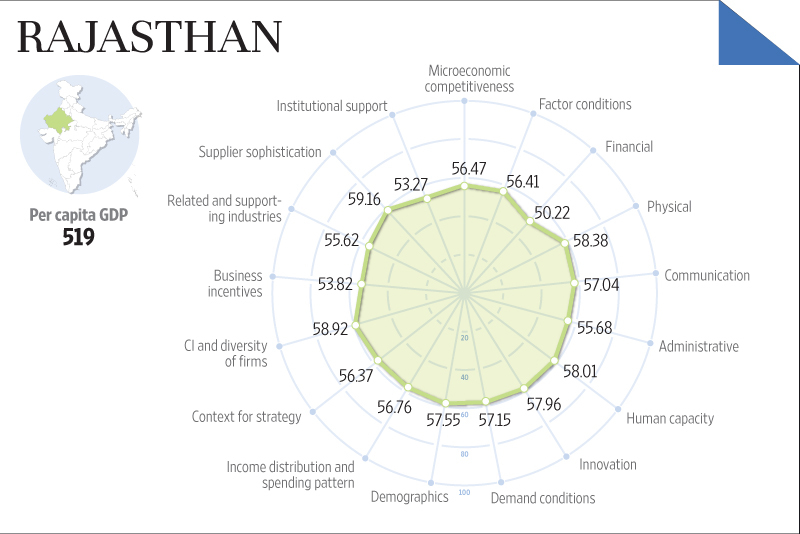 Rajasthan: Performed strongly in administrative and infrastructure development and has strong economic clusters. 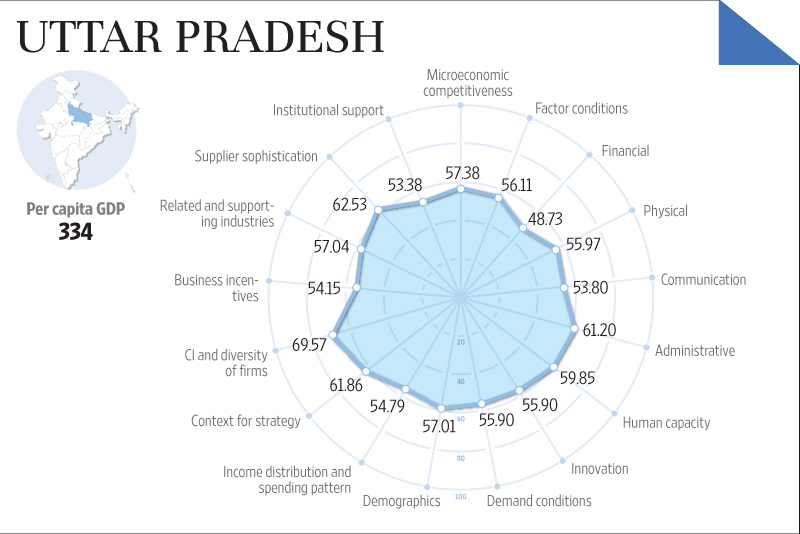 Madhya Pradesh: Strong human capacity and factor conditions and good overall business incentives. These economies focus on low-cost basic factor conditions, such as low-skilled labour, natural resources and geographic location. Uttar Pradesh: Exceptional human capacity, strong physical infrastructure and offers great incentives for business. Bihar: The state has great institutional support and does well on economic growth and communication infrastructure. Most Competitive State Awards 2013 were done in collaboration with Mint.